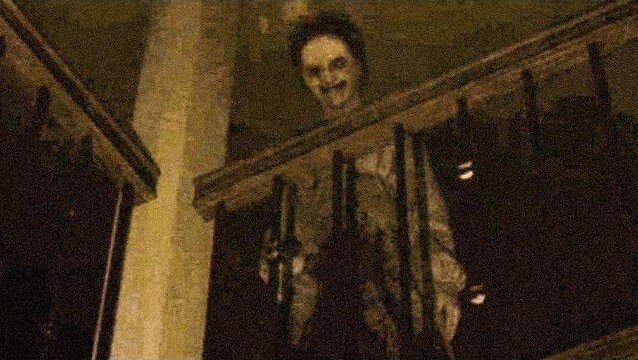 U.S. gamers have had to put up with some pretty sub-par horror games in the last five years. Titles like Dead Space, Resident Evil, and Silent Hill have all peaked at a certain installment, and then declined. But now with the help of Next-Gen hardware and market accessibility by indie publishers, horror gaming may take an unexpected and rather creepy turn. After being subjected to incredible criticism, Silent Hill and Metal Gear Solid mastermind Hideo Kojima is making a comeback with a new Silent Hill title. Kojima has taken measures like employing horror-genre veterans Guillermo del Toro, director of Hellboy and writer of Pan’s Labyrinth, and Norman Reedus, aka Daryl Dixon from The Walking Dead. Gamers have already been able to experience the new Silent Hill with a playable teaser exclusively released to the PS4 titled PT. This teaser takes players to an eerie L-shaped hallway which loops over and over and over and over and over again. Players are subject to exploring its creepy narrative with every new loop. The game engine takes advantage of concepts like lighting and ambiance to create a sense of suspense. This doesn’t even include the parts with the actual ghost-demon Lisa, which roams the hallway. To beat the demon, the player must solve all the creepy puzzles; from collecting picture pieces to ultimately coming face to face with Lisa. Although the final title Silent Hills, aka PT, won’t be available until 2016, PT is currently available on the PS4’s PSN store for free. In addition to Silent Hills’s PT, Five Nights at Freddy’s compliments the direction of the new horror genre by delving into a new concept of creepy: animatronics. Players take the role of a night-shift security guard working at a Chuck-E-Cheese style pizza place called Freddy Fazbear’s Pizza. As the player, you monitor the security cameras for 6 in-game hours to keep the 4 animatronics (that are trying to stuff you in a bear suit) in place. Each of the four characters have distinct movement patterns. However, most of the characters’ movements take place off-screen, the camera feeds are dimly lit and distorted, one of the rooms only contains an audio feed, and the cameras do not cover certain areas of the building. The player can close the doors to defend themselves, and briefly turn on lights in the hallways to check for animatronics, but cannot leave the guard room itself. Power supplies are limited, and is consumed quicker through use of the cameras, doors, and lights. As such, it must be strategically conserved throughout the night; if the player runs out of power, the cameras become inoperable and the doors open, resulting in a very creepy death. Five Nights at Freddy’s is currently available on Steam for $4.99. Can’t wait to play this , or see a YouTuber play it , their reactions are priceless! !